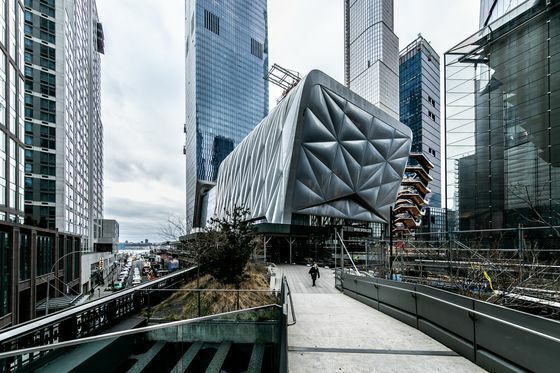 In the meantime, he’s helping create an edgy space for art in a newer part of town, with a $25 million gift to the Shed at Hudson Yards, a 500-seat theater that will bear his name. 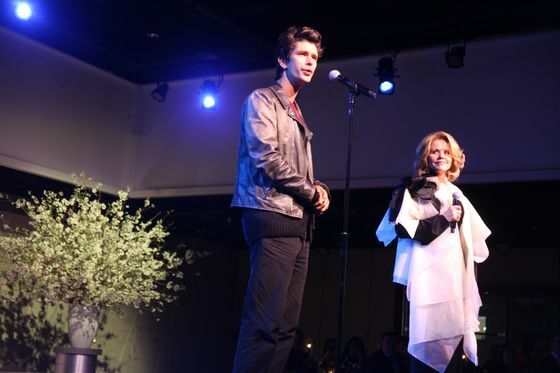 Guests at the Shed’s Founders Dinner learned about the gift Sunday night. 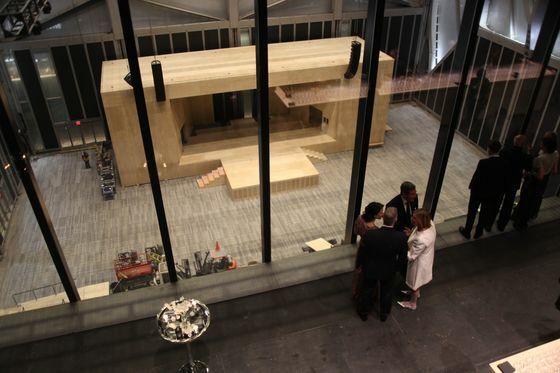 Griffin stood at the theater’s back wall of glass, looking out on the McCourt, which has a retractable roof and moving parts to change configurations. Griffin said it was Dan Doctoroff, chairman of the Shed’s board, who sealed the deal over a tour of the site with Liz Diller. “You knew you had me at the end of that 45 minutes or an hour,” Griffin told Doctoroff. It took about five years of courtship, with conversations kicking off seriously after seeing each other at a University of Chicago board meeting, said Doctoroff, the former CEO of Bloomberg News parent Bloomberg LP. While everyone at the Founders Dinner expressed enthusiasm for being part of a shiny new thing, Griffin has also given to building projects of established institutions. 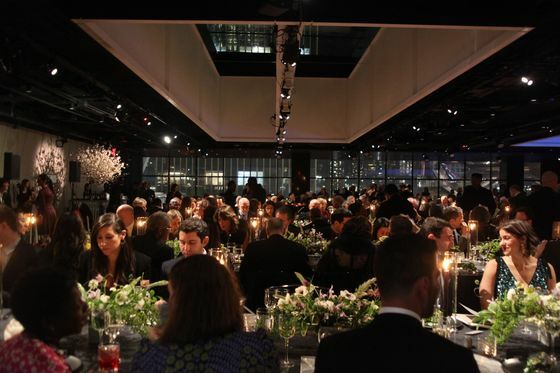 Previous gifts have put his name on the lobby at the Renzo Piano-designed Whitney Museum and on Philip Johnson’s East Wing at the Museum of Modern Art, which is undergoing an expansion. Griffin said he hopes his employees, mostly in their 20s and 30s, will get out and partake in the culture he’s backing, whether facilitated by the firm or on their own. 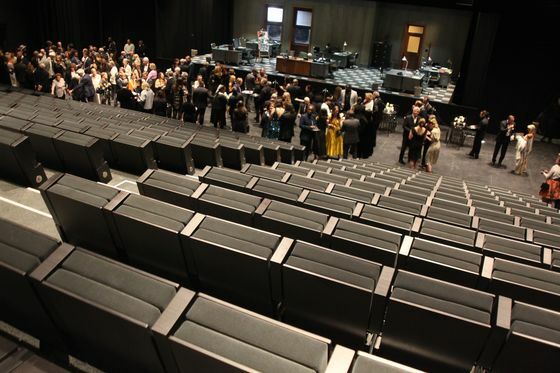 At Griffin’s theater at the Shed, the audience will sit on firm chairs with a slight spring, covered in a steel gray fabric with a velvety touch. The armrests, in a black wood finish, are substantial. The seat backs encourage good posture.